Height 3-3 1/2 feet at shoulder. Weight 70-200lbs. (females); up to 350 lbs (males). Color reddish brown in the summer and buff in the winter like pewter-grey. Their belly and the underside of their tails are completely white. They also have a white patch on their throats. Babies are spotted and mottled to blend in as a shadow to be protected from its predators. Tail is short and white on the underside. 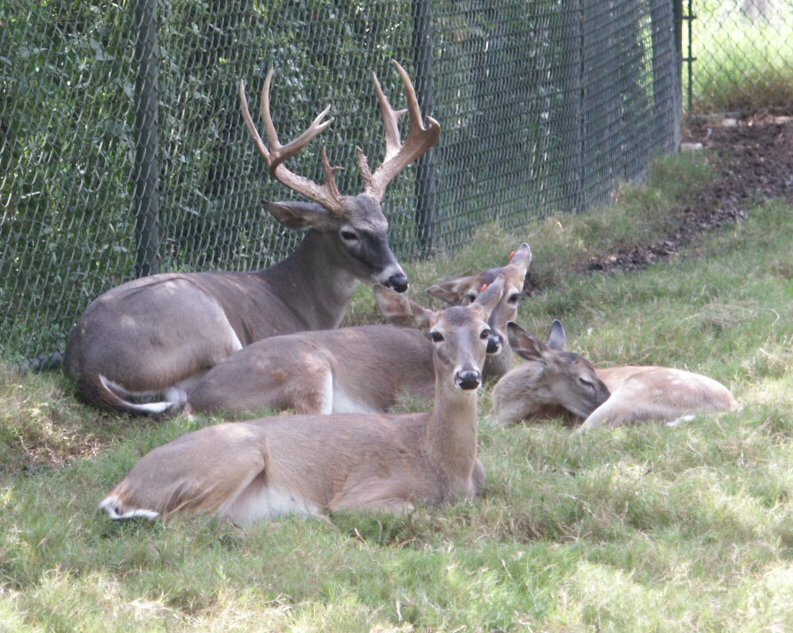 Most of the deer are relatively solitary during spring time, but for the winter they gather up for the warmth. The females and the males usually only associate during mating season. They can reproduce one to three babies. The does mostly travel in the later part of spring to start mating. Deer often move often for the greatest distances in spring and fall. Most of the greater distances are done by the yearlings. As the female matures, her traveling decreases. 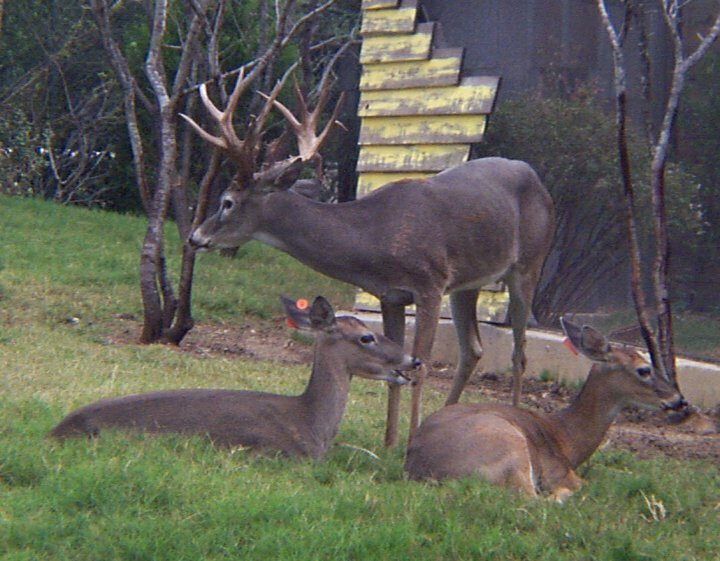 The deer have a keen sense of hearing and seeing which protect them from predators. The white-tails are most likely seen during dusk time trying to find food and disappear at dawn. White-Tailed deer can run rather quickly and jump really high due to the their long legs. Their speed decreases in the thick snow. Their ability to run fast is their protection against predators. Another defense is the antlers for the bucks. They learn to bump their enemy with the antlers to stab them. 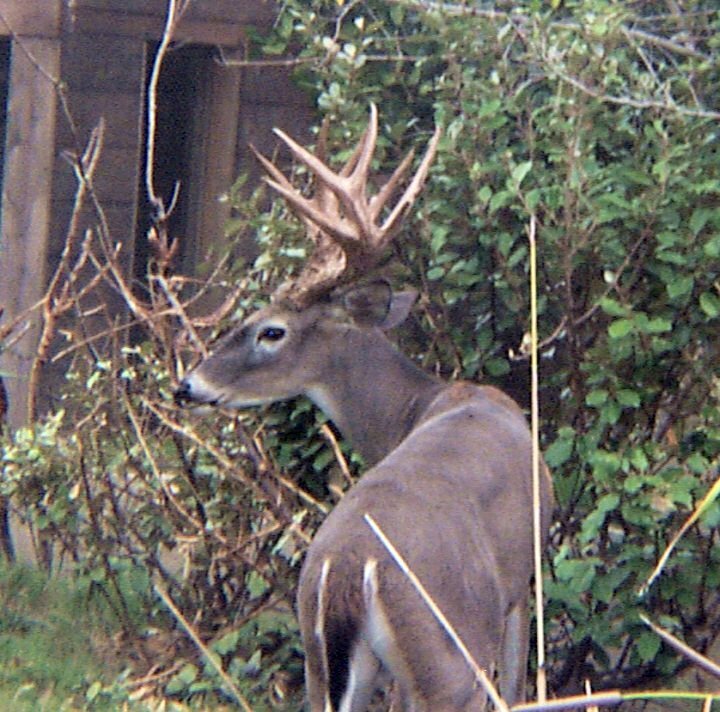 Most deer have to store up body fat for warmth since their coats are not thick. Some white-tails become pests because they go into people's gardens and eat their flowers. White-tails tend to go for the most nourishing foods so they become picky eaters. The Zoo has an adult male and some adult females. 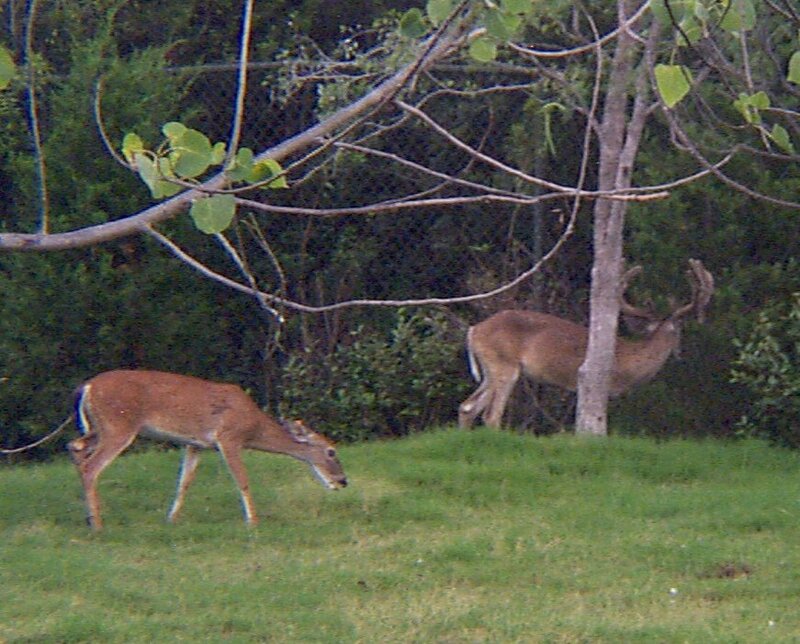 The male is a potential breeder and has produced two young deers. The two cute female deer at the zoo seemed pretty young. They seem to stay together because they did everything together. They were with other animals, but they seemed to stay isolated in their own areas. They were shy and it seemed they did mind that we were looking at them because they wouldn't come closer.